Vijayalaxmi Hegde is a content expert based in Karnataka, which is a state in the south-western region of India. A journalist by training, she has taken on different roles over the past 13 years, from editor, to freelance writer, to researcher. For the last six years, she has been working in the translation and localization industry – initially at Common Sense Advisory, a market research firm, and then at Smartling, a technology provider. 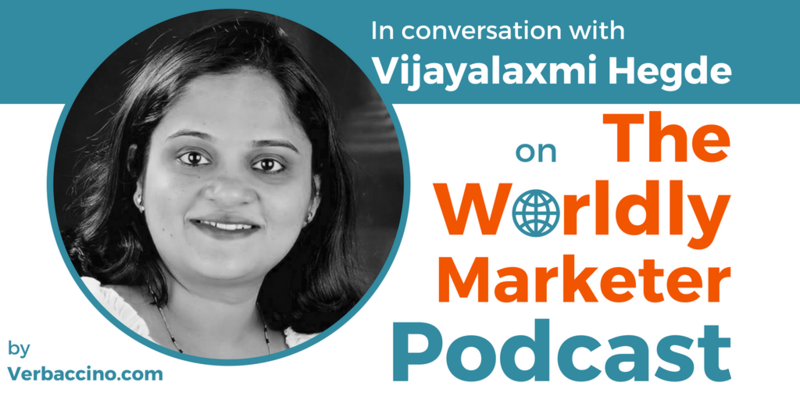 Currently, Vijayalaxmi is a Content Marketing Manager at Moravia, one of the world’s top 10 language service providers. She enjoys writing about various aspects of translation, and how it aids and influences global marketing. I first discovered her through her many and consistently excellent contributions to theMoravia Blog. Her other passions include plain language, new journalism, organic farming, and alternative education.